At INTECOL 2013, we learned about a set of 10 eco-commandments through Professor Bernd Markert, who is looking for broad feedback on them. We post them here with the purpose of getting your input and perhaps starting a discussion around these commandments. The eco-commandments were written back in the 1960s by the former head of the Science Resources Division of the OECD, Peter Menke-Glückert. Do they still have value or how would they need to be updated to be relevant for the 21st century? Give us your feedback in the comments field at the end of the post (if you do not see a comments field click through to the full post). The text has been converted to HTML; otherwise the text we received from Prof. Markert is posted verbatim below. The persons in charge of communicating the Commandments welcome practical ideas for the survival problems of mankind and nature. Thus making a contribution to additional annotations of the Ten Commandments and the goals as stated in the Preface. The Ten Ecological Commandments for Earth Citizens were already formulated by Peter Menke-Glückert at OECD in Paris during 1966 to 1970. He first presented them at UNESCO conference "Man and Biosphere" in Paris on March 9, 1968. They have been one of many inputs to the constitution of the Earth Charta related to Earth Citizens in 2000. They have been translated into different languages such as Spanish, Portugese and French and are quoted in school books. In 2001, Kai F. Hünemörder quoted the Ten Ecological Commandments in his dissertation, Die Frühgeschichte der globalen Umweltkrise und die Formierung der deutschen Umweltpolitik (1950-1973), p. 413-415. The third annotated version of the Ten Eco-Commandments has been presented during the 11th Congress of the International Association for Ecology (INTECOL) and the British Ecological Society (BES) following the thematic umbrella "Into the next 100 years…" at the ExCel Centre, London, August 2013. The Ecological Commandments are an important catalyst for permanent activities to solving global ecological problems. To reach the goals of the Ten Commandments world wide distribution and endorsement are necessary. The international and global information transfer of the Ten Ecological Commandments must be spread by using all media: by newspapers, journals, (text) books, radio, TV, and especially by electronic media, available today. For understanding and accepting the Ten Ecological Commandments by all Earth Citizens of different cultures more translations into different languages of the world are compelling. All Earth Citizens are striving for survival in a livable planet. All partners are invited to accept the responsibility in accordance with the goals of the Ten Ecological Commandments. The human dignity of all Earth Citizens has been already protected by the United Nations since 2006 in the UNResolution 1674 R2P:Responsibility to Protect World Peace and nature as survival insurance for mankind (as R2P-summary of UN-World Summit 2005). Prof. Dr. Bernd Markert, PD Dr. Stefan Fraenzle and PD Dr. Maik Hosang endorse Peter Menke-Glückert´s Ten Eco-Commandments and are looking forward to receiving practical ideas for further annotations to make our planet a more livable and with enough resources for all mankind. RESPECT THE LAWS OF NATURE! REALIZE: THERE ARE CLEAR LIMITS FOR THE CITIZENS OF SPACESHIP EARTH SET BY NATURE AND ENFORCED BY NATURE! YOU NEED NATURE AND NATURE NEEDS YOU! LAWS OF NATURE SHOULD BE FIRM INDISPUTABLE GOALS IN POLICY MANAGEMENT, GIVING LONG TERM ENVIRONMENTAL KEY DATA FOR WORLD POLITICS! Have respect and respond in humility to the 4.3 billion years old cycles of the universe which up to now guarantees the survival of the biological species HOMO SAPIENS alone by interdependence highest (bio)diversity of billions of eco and cultural different integrated systems. All these fragile systems are threatened to-day by massive over-exploitation of resources and energy in an over-consumption pattern of carelessness, thoughtlessness, ruthlessness. Therefore, adapt yourself to nature's cycles. Without you nature works with great efficiency day by day for you! Without charging you a bill. But with tremendous economic and survivability surplus. LEARN AS RESPONSIBLE EARTH CITIZEN FROM THE WISDOM OF NATURE! REMEMBER: THE WHOLE IS MORE THAN ITS PARTS! SCIENCE MUST AIM AT THE WHOLE – REGARDING DETAILS AS INTEGRAL INGREDIENTS OF SYSTEM EARTH… NATURE WHOLENESS IS GLOBAL SYSTEM-RETINITY! It is your duty to inform yourself about the rules of ecosystems on earth so that you can act with wisdom, foresight and circum-spection. Do not curtail ecosystems in their parts without considering what happens to the whole. The whole must be background of all nature learning activities - establishing day-to-day EARTH-CITIZENSHIP with all its obligations! Every year ten thousands of species disappear because of industrialization, over fertilization, toxic pollution, careless handling of nature's resources such as the cutting of tropical forests and the sealing-off of larger and larger parts of nature by building roads, industries, cities. Thus the information content of the biosphere, its survivability diminishes. Every blade of grass, every butterfly, every wild creek or hedge is an important part of the global ecosystem and therefore condition for its survival and our survival as human species. The abundance of natural species is a cultural treasure of mankind which by all means must be protected and preserved. International law must be supplemented accordingly. International agreements related to the Third Commandment have been already fixed nowadays, but their implementation or continuing existence will be in parts dramatically blocked by strong forces of the international political scene. Avoid pollution of water, air, soil by not overusing your car, by not asking for unnecessary packaging material, by not wasting water or energy. Because of the enormous pollution-load there must be personal zero-level-pollution saving resources and energy - wherever zero-alternatives such as walking, bicycling, using renewable resources and renewable energies are possible alternatives. The late Danish ambassador Isaak Seidenfaden to OECD phrased already this commandment as Number ONE for all economic activities in 1967. Do not ask for state action - you are responsible for the state of nature as an earth citizen! In OECD language it is coined as PPP - POLLUTER-PAYS-PRINCIPLE. FACE EARTH-RESPONSIBILITY EVERY DAY FOR OUR CHILDREN AND OUR CHILDREN'S' CHILDREN SO THAT THEY MAY LIVE ON AN UNSPOILT LIVABLE PEACEFUL EARTH AS EARTH CITIZEN WITH FUNDAMENTAL HUMAN RIGHTS AND ETHICAL EARTH SURVIVABILITY RESPONSIBILITIES! Try to leave this small planet earth as a more beautiful place, more livable in, more enjoyable, with enough resources for all mankind. Responsibility for planet earth infers global responsibility taking into consideration causes of nature destruction and economic and social underdevelopment of two thirds of mankind. Find ways and means of achieving global responsibility to fight world poverty by local and United Nations actions. Earth policy/responsibility for Earth Citizenship and local policy depend upon each other. Think globally as an Earth Citizen and act regionally as a national citizen to follow this Fifth Commandment as proud democratic citizen in your local community and as an Earth Citizen by birth belonging to the huge realm of billions of biological species. Legally everyone is entitled to national citizenship, but by world-ethical standards entitled to Earth Citizenship with rights and obligations according to the Ten Eco-Commandments – being in dual duty as national and as Earth Citizen! FOLLOW THE PRINCIPLE OF NATURE PRECAUTION / SUSTAINABILITY IN ALL ECONOMIC ACTIVITIES! Do not take more resources out of nature's richness and ecosystems as can be restored and renewed by careful long-term resources planning! Give everything back to nature in substance so that resource losses or damage can be reconstructed to soil, plants, functioning ecosystems. Start with re-thinking all your activities, for instance by composting all green waste in your garden or your neighborhood. Burning of waste means destruction of matter and off-heat-pollution. Do not allow that our earth looses its soil and green renewability! Save natural resources and energy! Take precaution! ACT AS YOU SPEAK! EVERY DAY IT IS YOUR VERY OWN PERSONAL RESPONSIBILITY AS EARTH CITZEN TO EASE ENVIRONMENTAL BURDENS AND NATURE-HARDSHIPS! Do not lie to yourself by making a distinction between the principal acknowledgement of the environmental cause and your own little sins, which are unimportant in comparison with the big sins of others, such as those in the case of industry. Many, many little steps have tremendous end effects. Start in your own household and community neighborhood! PREFER INTELLIGENT BIO-ECONOMIC SOLUTIONS, SMART GRIDS LEARNING FROM NATURE WISDOM COLLECTED BY BIONIC RESEARCH. PREFER NATURE-INTELLIGENT SOLUTIONS WITH SMART GRIDS SAVING NATURE RESOURCES TO TRADITIONAL THOUGHTLESS WASTE TECHNOLOGIES AND INDUSTRIALIZED SOLUTIONS STIMULATING OVERCONSUMPTION. LIFE STYLE PATTERNS NEGLECTING IMPACT ON WORLD CLIMATE. ECONOMIC GROWTH IN THE 7th KONDRATEFFCLE MEANS QUALITATIVE ECONOMIC GROWTH IN COEVOLUTION WITH NATURE. Avoidance of Survivability / Sustainability crises of political systems in the future depends on the respect for other cultural and social traditions and identities than your own. Survivability of future political systems and the success of environmental politics depend on many, many steps, problems solutions which are integrated in existing regional cultures, traditions, life styles. Remember: CLEVER/INTELLIGENT HANDLING IS BEAUTIFUL, comprehensible, enjoyable, motivating. Stay down to earth with all your senses! INFORMATION ABOUT ENVIRONMENTAL DAMAGE BELONGS TO MANKIND – NOT TO PRIVILEGED BIG BUSINESS! NOT TO ANYONE ALONE! AVOID INFORMATION POLLUTION! GENERATE SURVIVABILITY INFOR-MATION TO LASTING KNOWLEDGE AND DAILY ROUTINE! DO NOT MANIPULATE INFORMATION BECAUSE OF COMMON PRACTICE AND BECAUSE OF POSSIBLE LOSS OF PRESTIGE OR CAREER POSITION OR ECONOMIC LOSSES! To protect nature, to overcome environmental damage needs courage to tell the truth about effects of certain industrial practices, about consequences of certain political actions and affluent energy-wasting life styles - even if it hurts common beliefs, traditional views and interests. One of the great sins of our Media- and Public-Relations-Culture, is manipulation of information. Therefore resist this distortion of information! Earth Citizens have a fundamental right of access to precise environmental information! Included in the United Nations Charter of Human Rights belongs Freedom of Access to environmental information including environmental assessment of technology innovations and its health results. Industry Advertising in green marketing is not sufficient! The coming knowledge and computer society needs a new Codex of Information-Handling-Ethics, needs a world campaign against “information pollution”, one of the biggest and most dangerous environmental sins, confusing fair, precise, understandable and honest communication. LISTEN CAREFULLY WHAT YOUR OWN BODY TELLS YOU ABOUT IMPACT OF YOUR VERY PERSONAL SOCIAL AND NATURAL ENVIRONMENT UPON YOUR WELLBEING! DON'T LOOSE DAILY CONTACT WITH YOUR VERY OWN "EARLY BODY WARNING SYSTEM"! ALWAYS REMEMBER YOU CAN NEVER STEP OUT OF NATURE'S CYCLES, YOU WILL ALWAYS BE PART OF NATURE WITH YOUR OWN BODY! Environmental awareness and sensibility start with many signals from your own body which link you with larger ecosystems of our earth, and it is your body early warning system to assess environmental damage first and foremost. Man and nature are of the same origin: We all living on planet earth must obey the same billion-old laws of nature! Body language is much older and more precious than computer language, technical jargon, media slogans! Nature teaches you lessons every day! Your own body is your well-minded NATURE INTERPRETER and personal health exercise teacher! Body Pain is an important warning signal to change your life style! HOMO SAPIENS BODY AND SOUL contains survivability programmes of archaic times thousands of years ago, but still functioning in times of hectic stress, breakdowns, health challenges. Learn by training exercises to follow this survivability body language using properly natural muscle motion and breathing techniques! An example how to do it gives Chinese medicine and body culture. DISCUSS WITH YOUR FAMILIES AND FRIENDS ABOUT THE ECOLOGICAL SITUATION OF OUR PLANET EARTH AND ABOUT YOUR PERSONAL FEELINGS AND IDEAS, INTENTIONS AND PRACTICES TO LIFE AND WORK IN AN ECOLOGICAL SENSE. TAKE ACTIVE PART OF INFORMATION TRANSFER IN SOCIAL, SCIENTIFIC AND OTHER NETWORKS WHICH ADVANCE THE ECOLOGICAL SITUATION OF OUR PLANET EARTH. BE PART OF AN ETHICAL CONSENSUS PAVED BY 3 ASSUMPTIONS: 1. TRUST IS BETTER THAN NEGOTIATING TREATIES, 2. DIVERSITY IS A CONDITION FOR STABILITY, AND 3. THE WEAKER DESERVE AND CAN RELY UPON SOLIDARITY. THE END OF ALL IS A SMART METHOD OF CONFLICT MANAGEMENT WHICH PROVIDES INTEGRATIVE SOLUTIONS OF PROBLEMS. AVAILABLE TOOLS INCLUDE REGIONS CONCERNED WITH EDUCATION (TO LEARN HOW TO LEARN), THINK TANKS (TO DEFINE INTEGRATIVE SOLUTIONS FOR PROBLEMS) AND TURBO-DEMOCRACY (TO GET FASTER RESULTS). PERFORMANCEDEFINED AS PERSONAL CAPABILITY OF AN INDIVIDUAL TO UNDERGO AND CAUSE CHANGES DOES REQUIRE EDUCATION TO BE ABLE TO COPE WITH THE GLOBAL CHALLENGES FACING MANKIND. INNGE has been requested to give feedback on a research project to explore how a science-policy interface for biodiversity and ecosystem services might look like in Europe. In a live blogging experiment I aim to update this blog post regularly with impressions and thoughts during the 3 day conference in Berlin. Institutions, networks, funders, networks... and more institutions? During the third and last day of the BiodiverstyKnowledge conference the focus was on how existing institutions and networks could contribute to an eventual European Network of Knowledge. If anything, the thirteen 5 min speed presentations and the esuing round table discussion revealed a high level of enthusiasm and even concrete suggestions to reach a better organized European biodiversity science-policy interface. The discussion especially focused on two challenges for the implementation of the Network of Knowledge. As already mentioned the European landscape of biodiversity research networks is already quite complex. My personal experience is that the typical early-career researchers in the field are lost and basically have given up in trying to untangle this tangled bank of research networks. Furthermore and more worrying, this complex landscape is currently likely to prevent some younger scientists in engaging with and pursuing a career through these networks. A realization of the Network of Knowledge must contribute to signficantly simplify the current landscape of research networks especially in terms of minimizing redundancies, and strenghtening legitimacy of networks. At best, this new landscape would result in a single entry point for early-career scientists who want to engage in the science-policy interface of biodiversity research at the European level. Another important and closely related feature of Network of Knowledge is that it must be open and inclusive, otherwise we are only likely to keep seeing related initiatives popping up. Like many other approaches to science, particaptory networks can also fall victim to an "us and them" mentality of: "Those that want to join can join and those who are not liking the idea, well too bad." In this context in the context of legitimacy of a Network of Knowledge it was pointed out a couple of times during day three that few institutional leaders or directors were present at the meeting. To achieve the goals listed in the above two bullet points, attracting more leaders seems like an important challenge for a Network of Knowledge. So to sum up the discussion during day 3, it was encouraging to see the open discussion of some of the challenges for the ambitious goals set out in the BiodiversityKnowledge project. Openness, inclusiveness and legitimacy are three of the keywords I take with me home from the closing debate. Finally, on the openness side it was really exciting to see the whole meeting live streamed (see picture below) and day 3 ended with a big thank you to the web streaming team. On day two discussions focused on the challenges in implementing the Network of Knowledge that BiodiversityKnowledge has been simulating over the past year. As chapter 5 of the draft white paper outlines, BiodiversityKnowledge could be implemented in two modes. By the way this forum provides the opportunity for everyone to comment on the proposed design options. In its most basic implementation, the Network of Knowledge would focus on improving linkages between the complex ecosystem of existing networks, platforms and institutions in Europe that work on biodiversity science and policy. This would include players from the science production side, such as the research networks, as well as from the science user/requester side, such as the various bodies of the EU. "would basically rely on existing institutions, networks and initiatives to be strengthened and willing to bring together their expertise and resources"
"A more ambitious solution is to set up a new body, similar to IPBES, at the European level with its own governance structure, ensuring a stronger link between science and policy"
"Addressing the actors broadly might be easier in this platform solution, as more resources for engagement would be available and thus strongly strengthen the legitimacy also on the knowledge holder side." "The strength of the platform model would be even more strengthened, if it is set up with a long-term plan and vision to allow a built in, iterative self-improvement mechanism..."
Obviously, no matter which of the two Network of Knowledge modes that end up being implemented plenty of opportunities andd challenges lie ahead in making biodversity research more easily accesible for European policy makers, this will be the focus of the next blog update. Here is the group photo from the 2nd day of the conferece. A European science-policy interface on biodiversity has many faces - these are just some of them. One of the discussions to emerge from the first day of the conference is the issue of time and expertise. The experts that have the most to offer in answering policy requests may also often be the ones with the least time to do so. How does a science-policy knowledge network like the one BiodiversityKnowledge is mimicking address that issue. For an early-career scientist one idea that immediately comes to mind is to train younger scientists in eganging with policy makers while answering requests. Maybe this is something for science-policy knowledge network to consider. Here is a pricture form the breakout groups that are progressing well during day two. During day one the experiences from the three test cases were presented and two discussions developed out of those. In the three test cases BiodiversityKnowledge have tested three methods. 1) expert consultation, 2) systematic review and 3) adaptive management. Andrew Pullin emphasized that the type of method applied will depend on the policy requests coming in. In particular, it may be useful to distinguish between requests of e.g. horizon scanning, better predictions of future (natural) dynamics, and impact assessment of management actions. Pullin used a Journal of Applied Ecology paper from 2009 to illustrate how such knowledge requests from policy makers can be unpacked into science. The first day of the conference is now well completed with a lot of discussion of opportunities and challenges in setting up a regional science-policy knowledge network. I will briefly try to summarize a couple of the main discussions. The conference was kicked off by Heidi Wittmer and Carsten Neßhöver sketching the core functions of the Network of Knowledge (NoK) that BiodiversityKnowledge is simulating. It turns out that a realized NoK actually could have four functions. First, NoK would be a network of existing knowledge networks in biodiversity and ecosystem services. Secondly, Nok will service decision makers by answering knowledge requests. Thirdly, the NoK's knowledge production and synthesis can be costly. The Nok might there for need an overall research strategy or funding mechanism. Fourth and finally, the NoK would have to place itself in the international setting and may contribute to activities coming out of IPBES and the Convention on Biological Diversity's - Subsidiary Body on Scientific, Technical and Technological Advice CBD SBSTTA - what an acroynym! The flight to Berlin was a good opportunity to read up on the context of BiodiversityKnowlege. A multidiscplinary era for conservation biology and ecologists? As the white paper (Box 01) beautifully states, the past 20 years since entering of the Convention on Biological Diversity(CBD) have seen an opening up of conservation biology. Now, conservation biology is increasingly integrating with natural resource management and concepts such as ecosystem services and natural capital have become fundamental. What does this mean for ecologists? For one it means that ecologists working to inform or practicing conservation biology finds themselves in a much more multidisciplinary context. To make a diffrence, ecological research must be better integrated with the work of social scientists, economists, political scientists etc. etc. The BiodiversityKnowlege is being carried out in an interesting time for applied ecology at the global level. With the recent lauch of the Intergovernmental Platform on Biodiversity and Ecosystem Services (IPBES), previously featured on this blog, BiodiversityKnowledge comes at a time where much is set to improve for the availability of biodiversity and ecosystem research to decision makers. For now I will leave you with an impression from walking Berlin trying to find my hotel. The One World Bear is a symbol for - amongst other things - international collaboration. Let's hope the BiodiversityKnowledge conference can result in some of that. The objective of this second conference is to discuss and finalize the recommended design of a future Network of Knowledge (NoK) on biodiversity and ecosystem services in Europe. The basis for the discussion will be a draft for a white paper written by members of the Seventh Framework Programme (FP7) funded EU project. The conference takes place in Jerusalemkirche in Berlin. This blog post will briefly introduce INNGE's general mailing list, which you can join here . The mailing list is intended for the international community of early career ecologists, from students to young professors, and everybody with an interest in the activities of INNGE. Hopefully you will find the mailing list useful and take it into use right away. The email discussion list is particularly well suited for topics and questions that could not be addressed using a local network. The whole goal of INNGE is to make better use of the resources in the early career community that are scattered around the planet. Maybe this list can help achieve part of that goal. The list is also a good venue for asking questions about INNGE and discussing activities you would like to see INNGE carry out in the future. After INTECOL in London many may be wondering how to get further involved in INNGE. Joining the mailing list is a good first step. Furthermore, a recent blog post posted right before INTECOL, provides further suggestions. The post also covers the coming transition from a self-organized working group to the election of a more representative board to guide INNGE into the future. Basically, INNGE is a bottom up network and it relies on the creativity of everybody to suggest activities that INNGE should carry out. If you want to seek inspiration in activities INNGE has carried out in the past couple of years, this blog post will give you an overview. Two more focused discussion groups on open ecology and increasing ecology’s interdisciplinary relevance are in the process of being set up and should become active very soon. In addition, there seems to be interest in better developing the career-oriented perspective of the network e.g. by collecting early-career resources, conducting early-career surveys, and through project and job aggregators. More than 100 early career ecologists signed up during the recent INTECOL meeting in London. Thanks to everybody for participating in the activities during the conference and for making it a very successful and important event for the network. All INNGE related materials from the conference should also become available online during the coming weeks. Finally, please share your photos from the conference via our Facebook group. A Flickr photostream was also launched recently well suited to bring pictures from all the conferences INNGEcologists attend. How do I get involved in INNGE during and after INTECOL 2013? We recently posted on the blog a look back at INNGE’s activities over the past 3 years. A day before workshops,PechaKuchas, and other lunchtime events take place at INTECOL 2013, we thought it would be a good time to provide a few tips on how to take part in INNGE during and after INTECOL. The future of INNGE depends on the involvement of the most diverse, talented, creative and dedicated group of early-career ecologists. In other words, INNGE needs you! First let’s get everybody up to speed with the basics of the most recent developments. You can also skip down to the next header if you just want the specifics. In 2013 INNGE had gathered a large enough following that it made sense to formalize the network, including a structure for membership and bylaws. To reach the goal of geographical and topical diversity in the network, we focused on offering official membership to institutions working within ecology. Through the institutional membership it is also our aim to legitimize and increase recognition of the early career cause. New society members have been flowing in through the past couple of months, in time for INTECOL 2013. INNGE’s members page lists the 13 members from 4 continents. The first member from Latin America is expected very soon, either before or during INTECOL. We can’t wait! So, why doesn’t INNGE have individual memberships? A more detailed answer can be found on our Frequently Asked Questions page. Briefly, because we are all already members of the community! We, at INNGE, believe that in order to maximize opportunities for early career ecologists, there should be as few barriers as possible to get-involved. So I am a member… but how do I get actively involved? There are multiple ways to get involved in INNGE. We hope this richness will stimulate a greater part of the diverse early career community. The ecology blog aggregator EcoBloggers provides and effective means of communicating your personal perspectives to the wider international community. Sign your blog up today and become part of the movement! Simply send your blog feed link to the webmaster. Doing so only requires an email and then continuing what you are already doing. You can read EcoBloggers on the web here or in your inbox through the RSS feed. Most of INNGE’s activity takes place via listservs and social media platforms. The listservs are often the place where general discussion and development of initiatives take place. We also use other social media platforms such as Facebook and Twitter to share information and carry out outreach activities. While general listservs are great for wide dissemination of a broad range of content, more specialized groups can be needed for the in-depth discussion and implementation of ideas. INNGE currently offers to get involved in two areas that have received broad public and professional attention. One group will focus on creating early career opportunities in interdisciplinary initiatives such as Future Earth, IPBES, and our current partnership with the Institute for New Economic Thinking’s Young Scholars Initiative, while the second group will be dedicated to the implementation of open ecology (open access, open science, open code, open data) initiatives which have been the focus of much debate on the blog and listservs. Sign up here to join one or both of the groups. Finally, there is the opportunity to serve the rest of the community by running for INNGE’s board or by being a representative to a formal member of INNGE (e.g. through one of our member ecological societies). It can’t be emphasized enough the critical role that this new board will play in the engagement of early career ecologists and carrying out the vision of connecting and creating opportunities for the early career community and for ecology in general. The election of the board will take place in December 2013 and the term will begin in January 2014. Don’t hesitate to get in touch with us at INTECOL 2013 or online, if you would like to dedicate part of your time to create opportunities for the early career community. Stay tuned on our blog and at our business meeting at INTECOL 2013 (on for more information and details about the election. Whatever way you may decide to become involved in INNGE, one thing’s for sure: INNGE needs you! In one week, INNGE will celebrate the third year of its existence at the 11th meeting of the International Ecology Congress (INTECOL2013). INTECOL 2013 will mark the implementation of a newer, stronger INNGE (version 2.0, if you will). We’d like to take this opportunity to provide everyone with an overview of what we have accomplished since the initial conception of INNGE “the idea” in 2010. In a subsequent blog post, we will look forward at where INNGE is heading after INTECOL 2013. So what did we actually accomplish? The first years of human life are characterized by continued development, based to a large extent on trial-and-error. While trial-and-error was an important tool in the first of years of INNGE, we have begun to realize the vision of an international community platform for early-career ecologists. Here we will briefly review the activities that characterized the infant stage of INNGE. A prime purpose of INNGE is to ease the sharing of ideas between members of the early-career community, whether it is between early-career groups, between individual researchers, or via assessments of collective opinion. What do early-career groups do? One of the first things to go up on our website was a set of examples of what early-career groups do in ecological societies, such as the British, Australian and American ecological societies. Examples span from the training at the annual meetings, to talks and poster awards, to the role of student sections in extraordinary events such as the oil spill in the Gulf of Mexico in 2010. As more examples are added over time, the diversity of this catalog could be an important resource for newly started early-career groups in ecological societies and on the web. It has never been easier for individual researchers to communicate ideas and research results to the entire world wide web. However, with the increasing number of individual blogs it is becoming harder to tap into and participate in this rushing stream of information. So while it is becoming easier to get the message out, it is becoming harder to reach the entire target audience and for the target audience to find relevant information. This mismatch can be fixed through the aggregation of individual blog streams. INNGE launched EcoBloggers in early 2013. Working as a simple RSS feed it offers the one-stop shop opportunity to monitor more than 25 ecology blogs and blogging communities. EcoBloggers is heavily inspired and takes its name from a blog aggregator for the statistical language R, R-bloggers. EcoBloggers has the potential to connect researchers around the globe, and illustrates how international networks can help enhance the voice of the individual. Another way to connect a community is through the creation of an understanding of overall opinion in the community. During the spring of 2012, a team of INNGE members led by Fred Barraquand conducted a survey on the current state of quantitative training in ecology. We received 937 answers to the online questionnaire with the results highlighting a dissatisfaction with own quantitative skills. You can still catch a summary of the resultshere or wait for the manuscript currently in preparation. In the future INNGE hopes to carry out a regular survey and assist early-career ecologists with answering questions about their own community. A topic that, from the start, gathered much attention was the discussion of open science in the context of ecology. The very first blog post to go up in August 2011 was about open data in ecology, and the benefits and challenges associated with this change to a more open scientific enterprise. The early blog post by Scott Chamberlain remains one of our most widely read posts. INNGE’s blog continued to be a centre of activity for the open-ecology discussion. The early blog posts aboutopen data and controversial legislation about access to online information were followed by a focus on incentives in the reviewing process. Interviews with both Peerage of Science and Scholastica highlighted new opportunities in peer-review offered by an open online process. Moving on Mich’s third point and based on recent proposals to alleviate the peer-review crisis, a mentor scheme for new reviewers has been launched for the New Zealand Journal of Ecology; as far as we know, the first such scheme for an ecological journal. The scheme provides new researchers with training in the writing of constructive and good reviews, while at the same creates a greater pool of reviewers in ecology. The second of Mich’s suggestions were followed up by a guest blog post highlighting the benefits of open preprint repositories like arXiv for the biological sciences. The post emphasized the relative pre-print deficiency in ecology compared to other natural sciences. This idea found so much traction among authors and readers that the blog post, through collaborative writing, developed into a perspective in PLoS Biology: The Case for Open Preprints in Biology. Open-ecology and changes in modes of scientific publishing are likely to continue to be of high interest in the community of early-career ecologists. In the future INNGE hopes to expand from mainly being a center of discussion to facilitate the implementation of open-ecology initiatives and more. Stay tuned. Ecology is a fundamental discipline for the sustainable management of human society and biodiversity at a broad level. Several international activities are currently being developed to help reach these two goals. This international, interdisciplinary and policy-oriented part of ecology is not always easy to follow and access for early-career scientists. Over the past three years INNGE has been involved in shaping and communicating several of these initiatives, and has reached out to economists to create new interdisciplinary opportunities. participation at the Future Earth Regional Workshop for Europe in Paris, May 13–14 (2013). Most recently, INNGE has announced it will work to bring together an alliance of early-career organizations with connection to Future Earth. We hope to be able to bring more news about all of these initiatives post INTECOL 2013. It is not only in sustainability science that new opportunities are emerging for early-career ecologists. 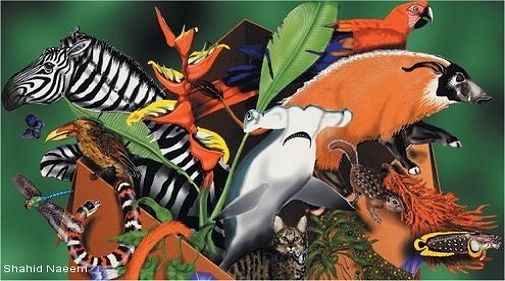 2012 saw the initiation of the Intergovernmental Platform on Biodiversity & Ecosystem Services (IPBES). On the blog and in the newsletter, INNGE parsed the development during the first plenary session of IPBES, to make the complex structure and political lingo more accessible to early-career ecologists. We recently announced a partnership with the Institute for New Economic Thinking’s Young Scholars Initiative (INET YSI). The first activity will be a seminar series in ecology and economics, and will continue to develop from there on. The partnership falls well in line with the focus on communicating the interdisciplinary context of ecology. A recent survey indicates that training of graduate students in the biological sciences is mainly oriented towards an academic career. In a sense, Future Earth and IPBES are both signs that the number of career paths currently available outside academia are likely to occupy a growing proportion of ecology PhDs. We used a next-generation point-of-view blog post to highlight a recent study by graduate students, for graduate students, about what skills employers look for outside academia. INNGE will continue to communicate and work for interdisciplinary opportunities for early-career ecologists. A big focus during the past two years has been preparing for the 11th International Ecology Congress (INTECOL 2013) which kicks off in London, very very soon. On the inaugural Sunday we will host four skills workshops directed towards early-career ecologists from the undergraduate to the junior professor level. Monday night is the time for our social event where we hope many early-career ecologists will join us for casual discussion over a drink of your choice (stay tuned for details). From Monday till Wednesday in the lunch-time session we will showcase three PechaKucha sessions, featuring renowned as well as up-and-coming ecologists, and a diversity of ecological societies. On the Wednesday together with the PechaKucha talks is also when we have our first business meeting which is your chance to influence the direction of INNGE. Finally, on Thursday it is time for a workshop on social networks in ecology, including Ally Phillymore and Walter Jetz and moderated by Jenny Talbot. Make sure you stay tuned to postings online and at the conference center in London. Check Tom Ezard’s recent blogs posts to get more info about INNGE workshops at INTECOL 2013 and for advice on using public transit in London. There may not be a better opportunity to interact with the global early-career community until the next INTECOL congress in 2017! We are thrilled to announce that, beginning with the meeting in London, INNGE will be represented by two early-career ecologists on the board of INTECOL. This is an extraordinary warm welcoming of INNGE to the INTECOL community. We will work tirelessly with the rest of the board to increase the sense of community among early-career ecologists as well as senior ecologists, and to increase the role of ecology in science and society over the coming years. In the first two years, INNGE will be represented by Naupaka Zimmerman and Peter Søgaard Jørgensen, both co-founders of INNGE. It should visible from the review of the three first years that INNGE is working on many fronts to increase opportunities for ecology and early-career ecologists. News about INNGE has been communicated in thenewsletter of INTECOL, in an interview on the Journal of Ecology podcast, as well as in the Bulletin of the British Ecological Society. The network has itself evolved continuously over time. As we approach London some areas of progress deserve mentioning. The many activities of INNGE have been coordinated by a ten member working group. A list of nodes provided a discussion forum for communication among early supporters of INNGE (institutions and individual ecologists).See the list of nodes at the end of this newsletter. INNGE now offers formal institutional membership, with each institution choosing early-career representatives as their voice in INNGE. Today, member institutions are spread over five continents [Asia, Europe, North America, Oceania, and South America] and we hope interest will continue growing after INTECOL 2013. The current institutional members have all signed up under a set of bylaws for INNGE that will be formally approved in London. These bylaws set the overall framework for the future development of INNGE, including the important upcoming elections of a new and stronger INNGE leadership. At the end of 2013, a new leadership of INNGE will be put together. The idea of INNGE is indeed ambitious; we need your participation to succeed in enhancing opportunities and in increasing interaction and collaboration among early-career ecologists. To succeed, INNGE needs a skillful, talented, dedicated and diverse group of early-career ecologists. In all of the above activities, your participation will make a difference. At the same time you are likely to take something from your participation that you wouldn’t have found in other places. The future of ecology will continue to belong to the next generation, and we need younger as well as older early-career ecologists to make this future brighter. In the fall, INNGE and a group of young socio-economic scientists will launch an online seminar series in ecology and economics. The seminar series, which brings together some of the leading thinkers across the two disciplines is intended to increase access and quality of an in-demand topic with broad relevance for early-career researchers. After 8 months of dialogue behind the scenes, INNGE and the Institute for New Economic Thinking - Young Scholars Initiative (INET YSI) are ready to present our first collaborative initiative. INET YSI is a network of young economic thinkers that comes from a variety of disciplines. Part of the aim of INET YSI is to "... provide a home for anyone who embraces critical thinking, intellectual discourse and a sensitive understanding of the greater political economy, the philosophy of science, and a variety of perspectives and means of modeling economic phenomena". INNGE and INET YSI therefore share the goal of better connecting their respective early-career communities and to increase opportunities for the early-career demographic. This common aim will hopefully provide the foundation for more collaborative initiatives in the future. The first round of the seminar series will feature three kick-off events to bring everybody up to speed with the history of the two disciplines as well as the recent burst of activity. In 2014 we hope to continue the series with more in-depth case studies. The series also serves as a warm-up to a large sustainability congress in October 2014 hosted by the International Alliance of Research Universities (IARU). At this event INNGE and INET YSI hope to be able to offer even more opportunities to the early-career community. Read more about the congress via this link IARU Sustainability Science Congress, and stay tuned for more news about early-career events on this blog. -In this seminar we attempt to provide a broad overview of the work that is currently being done in the field of ecological economics. -The final of our three seminar kick-off will explore some of the most successful examples where ecology and economics have been integrated to inform policy and decision making. If the rest of the speakers will be of the same quality as our first confirmation the series should be a real treat: Gretchen Daily from the Natural Capital Project and Stanford University is one of the most successful scientists in integrating ecology and economics to guide policy and decision making. We hope to have more speaker announcments very soon. Stay tuned. We proudly announce the first formal meeting of INNGE, to be held at the 2013 INTECOL Congress in London this August (see meeting info here). The 2013 INTECOL Congress will be an exciting time for INNGE, as we are putting together a fantastic series of activities designed for early career ecologists—from students to junior professors. INNGE social night (Monday, August 19th): Come meet other ecologists and enjoy the London nightlife with us! Time and location TBA. INNGE Business meeting (Wednesday, August 21, 1-2 pm): Provide feedback and input into INNGE operations and learn about opportunities to get involved in INNGE-sponsored activities. In addition, we are announcing a call for applications to INNGE’s new governing board (including Chair, Vice Chair, Secretary, Treasure)r; see a description of each board position here. If interested, please contact us at nextgenecologists@innge.net. On the second weekend of March the society for ecology and evolution in Denmark, Oikos Denmark, held its annual meeting. This will probably seem like an insignificant event to many readers, but for the ecologists gathered on the Danish island of Funen it was an important event marking just the second meeting since the society’s revitalization in 2012. Inbetween the launch in the middle of the 20th century and 2012 had passed multiple periods with little or no acticity, the latest lasting from around 1990 to 2011. Prone to the ebb and flood of people willing to take responsibility and the presence of critical mass, the long-term dynamics of Oikos Denmark are probably not that different from ecological societies in other small countries. In fact, until just a few years ago, Sweden was the only Scandinavian country with an active ecological society. Relaunched in the early 1980’s the Swedish Oikos society has held annual meetings since then. Fast-forward to today the Scandinavian countries serve as a candidate for a positive news story from the brink of ecological society fatigue. In 2011 and 2012 a coordinated decision was taken to try to (re)activate the Icelandic, Norwegian and Danish Oikos societies. Scandinavia could therefore be considered a long-term field experiment of how to build ecological societies in countries with less than 10 million inhabitants. The society is currently run by a board of 6 members, including one PhD student. They represent all of the major Danish universities and carry out research within the realms of ecology and evolution. A very small membership fee and reduced meeting fees for students are kept to ensure that younger members aren’t excluded from the society due to financial reasons. How does an annual meeting then look like? An annual meeting in a county with a modest population of only 5.7 million is rarely a mega-conference with hundreds, much less thousands of participants. Instead Oikos Denmark’s 2013 meeting had about 50 participants with a little over the majority being PhD-students or post docs. With almost twice the attendance of the first Oikos Denmark meeting in 2012, the second meeting showed significant improvement on the front of gathering critical mass. The goal for future meetings numbers lies in the range of 100 participants. The organizers applied a number of tweaks to the meeting format compared to other larger meetings. Thus the meeting program was boiled down to fit into two days, increasing meeting attendance, and there was no parallel oral sessions, increasing attendance and diversity at the individual talks. A session of 5-minute flash talks was designed to encourage especially younger participants to present their work and was generally received very well by both speakers and audience. Talks at the meeting essentially spanned the entire breadth of ecology and evolution research, but was dominated by research on non-marine systems. Some of the highlights included a key-note talk from Tom Gilbert of the Natural History Museum of Denmark, University of Copenhagen illustrating a host of applications for next-generation sequencing to ecological and evolutionary questions. Cases ranged from signs of possible ongoing ecological speciation among the world’s Killer Whales to the monitoring of rare mammals by sequencing DNA from the abundant leaches of wet-tropical forests. This use of environmental DNA (eDNA) was further supplemented by Philip Francis-Thomsen from the same institution, showing how it can be used to monitor bothfreshwater and marine biodiversity. On a very different note Jacob Weiner of the Department of Plant and Environmental Sciences also at University of Copenhagen gave his view on how management and sustainability of agricultural systems can be improved by applying principles from evolutionary biology to explain agri-ecological patterns such as constant final yield. The central message from the talk was that “we are unlikely to improve attributes already favored by millions of years of natural selection, whereas there may be unutilized potential in selecting for attributes that increase total crop yield but reduce plants’ individual fitness.” Others topics presented included the delayed arrival to Europe of long-distance migratory birds in 2011 associated with the severe drought in eastern Africa that year; interactions between the invasive Harlequin ladybird and native flower bugs; the role of gut microbes in fungus-growing termites, and new perspectives for ecological modeling using high-resolution terrain data. Finally among the highlights should (no surprise) be counted the social events including a visit from a Scandinavian sister society. The current chair of the Swedish Oikos society, Jan Bengtsson, visited the meeting to share his thoughts on how to make an ecological society run in a Nordic country. Jan’s advice ranged from alternating locations of the meeting e.g. between the main universities, to having an ecologist music band set the scene for after-hours interactions. In fact the main message was that meetings to be successful need to be fun! In this case Jan’s advice served as a good transition to the evening’s cheese and wine mixer. Norwegian Oikos Society held its first annual meeting the week after the with an estimated attendance of around 130 ecologists. In 2014 a conference for all the Scandinavian Oikos societies will be a natural opportunity to evaluate progress and exchange ideas on how to sustain the impact and functioning of the small ecological societies to the north. 9 months ago in Panama 96 countries finally decided that the future of Biodiversity and Ecosystem Services is of such importance that it needs its own IPCC-like organ. Although the final look of the Intergovernmental Platform on Biodiversity and Ecosystem Services (IPBES) has not yet been decided, that is essentially what its role will be and that is no small thing for the field of ecology. This week marks the first official plenary meeting of the platform. The plenary takes place in Bonn, Germany, the home of the IPBES secretariat. IPBES, although still just another obscure acronym to many, will in the coming decades without doubt have a central role in the ecological sciences. At INNGE we will make an effort to communicate the activities of IPBES to the next generation of ecologists for whom it will hopefully become a valuable resource and an exciting experience. This blog post aim’s to 1) Briefly highlight a couple of the key debates about IPBES, 2) Provide a list of resources with insights in to what IPBES is and how one can best follow the latest IPBES buzz. If you know of other IPBES resources that you think are missing please comment on this post. Enjoy! Prominent in the discussion about IPBES is the question of how narrowly or how linearly IPBES should be build, to what extent it should draw on a wider range of knowledge resources, and take the shape of a regionally distributed network. In a Nature Comment Turnhout and colleagues (2012) argue that ”The intergovernmental body for biodiversity must draw on a much broader range of knowledge and stakeholders than the IPCC” With that in mind they propose some “Rules of engagement for the IPBES” a few of which are either slightly modified or paraphrased below. • Operate not as a centralized global organization, but as global coordinator of a distributed network, sensitive to local knowledge, needs and conditions. • Facilitate broad discussion of the terms and methodologies used to define, understand, assess and conserve biodiversity; and be explicit about contested assumptions. • Embrace dissenting views and perspectives to build trust among represented parties — for example, through minority reporting instead. If this doesn’t take care of your hopefully growing interest in IPBES, don’t worry. Below are just some of the valuable resources. Just like everyone else, IPBES has an official website, and here’s the link to IPBES 1, the first plenary session. IPBES even has a Twitter handle @IPBES. A very cool feature of IPBES.net is the part serving as acomprehensive catalog of previous ecological assessments. During many UN meetings, the International Institute for Sustainable Development (IISD) has specialized in providing daily and post-conference summarizes of meeting activities. IPBES is no exception: You can see the summaries of Day 1 and 2 here, and dive into the world of international environmental policy negotiation procedures. Between the many procedural documents you can find information about nominations for the multidisciplinary expert panel (addendum) and draft procedures for production of the assessment reports and their scope. On page 29 of a report from an informal workshop that you we find a collection of conceptual frameworks for ecology that might be applied to IPBES. Several international NGO’s are involved the IPBES process following it as observers. Some of the major ones are listed here: International Council for Science (ICSU) , DIVERSITAS and International Union for Conservation of Nature (IUCN). Koetz, T., K. N. Farrell, and P. Bridgewater. 2011. Building better science-policy interfaces for international environmental governance: assessing potential within the Intergovernmental Platform for Biodiversity and Ecosystem Services. International Environmental Agreements: Politics, Law and Economics 12:1–21. doi: 10.1007/s10784-011-9152-z. Larigauderie, A., and H. A. Mooney. 2010. The Intergovernmental science-policy Platform on Biodiversity and Ecosystem Services: moving a step closer to an IPCC-like mechanism for biodiversity. Current Opinion in Environmental Sustainability 2:9–14. doi: 10.1016/j.cosust.2010.02.006. Pe’er, G., J. A. McNeely, M. Dieterich, B.-G. Jonsson, N. Selva, J. M. Fitzgerald, and C. Nesshöver. 2013. IPBES: Opportunities and Challenges for SCB and Other Learned Societies. Conservation Biology 27:1–3. doi: 10.1111/cobi.12000. Turnhout, E., B. Bloomfield, M. Hulme, J. Vogel, and B. Wynne. 2012. Conservation policy: Listen to the voices of experience. Nature 488:454–5. Nature Publishing Group, a division of Macmillan Publishers Limited. All Rights Reserved. doi: 10.1038/488454a. The second in the series of INNGE’s featured Next-Gen Point of View blog posts covers the topic of skill sets needed for a successful career outside academia. We bring you two blog posts based on an open-access paper in the journal Conservation Biology entitled “Graduate Student’s Guide to Necessary Skills for Nonacademic Conservation Careers”. The study was conducted by a group of eight PhD-students and one tenured faculty from the University of California, Davis, in the USA. Through analysis of job advertisements and structured interviews, the group of authors concludes that important skills for these career paths “are best signaled to [future] employers via experiences obtained outside thesis or dissertation work”. They further emphasize that PhD-students “should not necessarily expect to be competent in these skills simply by completing their chosen degree path”. Stephan has long expounded the view that the current graduate and postdoctoral training system constitutes, in her words, a “pyramid scheme.” This system, she has repeatedly shown, uses young and aspiring scientists as cheap labor for professors’ grant-funded research and then fails to provide the career opportunities that have been implicitly or explicitly promised. Hopefully the Conservation Biology paper and the honoring of Paula Stephan’s work are a sign that more early-career scientists and PhD-programs will start to seriously address how best to prepare early-career scientists for a diverse set of career pathways. Below we feature two blog posts that discuss the Conservation Biology paper. One is by a subset of the authors themselves, the other is from a blog based at University of Melbourne in Australia discussing the paper. Enjoy! Focus on the ‘top five’ skills, which are transferable across job sectors. Decide on a career track early in post-graduate training and tailor your work accordingly. Augment your transferable skill set with sector-specific skills, such as technical and IT skills, or outreach communication. Start collecting job information early. Develop a process to scan and evaluate job advertisements long before you are ready to apply so you develop the skills needed for the positions you find appealing. Volunteer with potential future employers. When applying, include experiences that might have nothing to do with your dissertation or even your academic career! Do you coach a sports team? Do you organise volunteer events? In this week’s QAECO reading group, we changed tack. Rather than a science-based paper, we discussed a recent paper from the Graduate Groups of Ecology and Geography at UC Davis (Blickley et al.). Their paper arose from a workshop on graduate education for conservation professionals, in which conservation scientists, managers, graduate students and faculty discussed how graduate students can gain appropriate training for non-academic conservation jobs. Ordination plot reproduced from Blickley et al. (in press) showing how skills nominated in job advertisement correspond to each other and to the three employment sectors that were examined. Let’s work our way through the top five skills indentified by Blickley et al.